I took a little break from practicing tonight (I started working through the Hal Leonard Bass Method again) and watched this amazing interview/conversation between Alex Skolnick and Dave Davidson about jazz guitar. A lot of what they discuss is applicable to bass, and to music in general. There are some theory-esque elements, like talks about diminished arpeggios and scales and certain progressions found more in jazz than in other styles of music, but its all great food for thought. Here’s something interesting from a cultural and musical vantage that I found when Jackie from Lindsey Tree Music posted in the Bass Blogs group on FB. Its a trailer for The Girls In The Band, a documentary with and about women from the jazz/bebop scene who were excellent musicians, but because of the influence of patriarchy, were marginalized and not given the credit they were due as amazing players – something that has repeated since in other styles of music, as well as areas outside of music. Some of the women were also black, so they had a double-whammy to deal with as this predates the civil rights movement in America. Herb Jeffries sings in 1941 with Jimmy Blanton on bass and Duke Ellington peeking out from behind. Jazz bassists from A to Z. Beginning with letter B we have the legendary Double-Bass jazz Master Blanton(Jimmy).Jimmy Blanton was the Father of the Double-Bass as a Solo instrument!!! There is virtually NO bass player that hasn’t study Blanton solos, compositions, technique and voice on the instrument. All bass players today are in DEBT with Mr. Jimmy Blanton. Blanton IS the first true master of the jazz Double-Bass. Blanton is credited with being the originator of more complex pizzicato and arco bass solos in a jazz context than previous bassists. Born in Chattanooga, Tennessee, Blanton originally learned to play the violin, but took up the bass while at Tennessee State University, performing with the Tennessee State Collegians from 1936 to 1937, and during the vacations with Fate Marable. After leaving university to play full-time in St Louis with the Jeter-Pillars Orchestra (with whom he made his first recordings), he joined Duke Ellington’s band in 1939. Though he stayed with Ellington for only two years, Blanton made an incalculable contribution in changing the way the double bass was used in jazz. Previously the double bass was rarely used to play anything but quarter notes in ensemble or solos but by soloing on the bass more in a ‘horn like’ fashion, Blanton began sliding into eighth- and sixteenth-note runs, introducing melodic and harmonic ideas that were totally new to jazz bass playing. His virtuosity put him in a different class from his predecessors, making him the first true master of the jazz bass and demonstrating the instrument’s unsuspected potential as a solo instrument. Ellington put Blanton front-and-center on the bandstand nightly, unheard of for a bassist at the time. Such was his importance to Ellington’s band at the time, together with the tenor saxophonist Ben Webster _ Verve Records , that it became known as the Blanton–Webster band. Blanton also recorded a series of bass and piano duets with Ellington and played in the “small group” sessions led by Barney Bigard, Rex Stewart, Johnny Hodges , and Cootie Williams in 1940-41. In this video we have a Great Jazz Duet between Duke Ellington – Verve Records and Jimmy Blanton performing Pitter Panther Patter.Enjoy!. Here’s a new video from the always impressive Adam Neely. This one is basically about counterpoint and not playing root notes when soloing. I happen to love counterpoint (its why the bass playing on Opeth‘s first two albums, Orchid and Morningrise, are some of my favorite pieces… I’m not particularly in love with their more recent offerings). I think I understand the basics of everything he’s talking about, but I’m absolutely not ready for 9ths, 11ths and 13ths and the like. It also dovetails nicely into the stuff I read last week in Target and Approach Tone s- Shaping Bebop Lines. Anyway, watch the video. Adam is gold. RoyMusicUSA posted a link to a website called JazzAdvice.com. It was started by two young jazzers named Forrest Wernick and Eric O’Donnell. 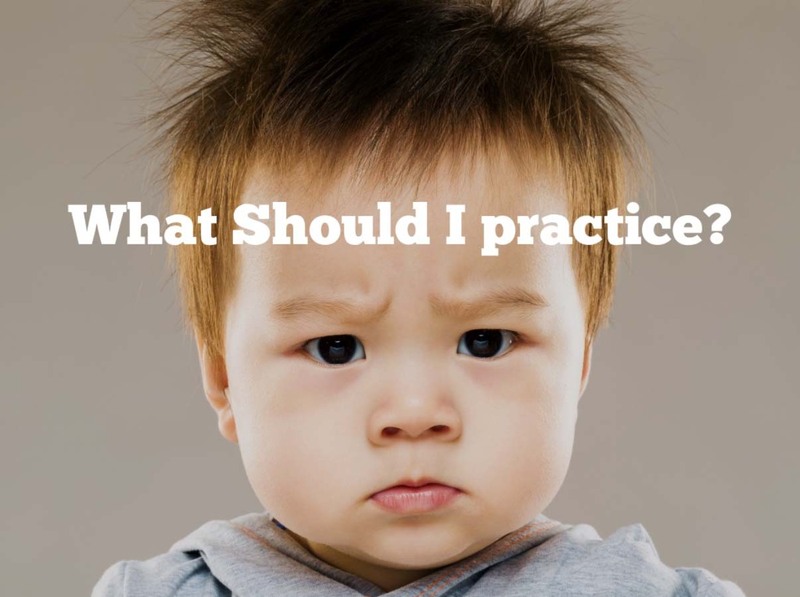 He shared a free presentation that they created called What Should I Practice? The 3 Essential Pieces to Practicing Jazz Improvisation. Its the best thing I’ve ever read on what to practice to develop a musical vocabulary. Although it has both jazz and improvisation in the title, I look at it as universal – not necessarily style-agnostic though, because it can be applied to any style of music. Essentially, its about studying pieces of music – from short phrases and solos to lengthier parts, basically whatever catches your ear – and learning to play them. Then, dissecting them to see why they move you and creating your own variations thereof. These actions aren’t linear either. Each informs the other.